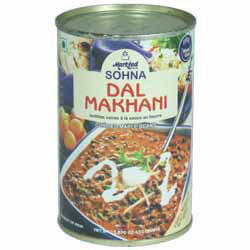 To enjoy this delicious vegetarian dish of curried Maple Beans, simply heat the contents of the tin and eat. Ingredients: Maple Beans (18% dry weight), Kidney Beans, Ginger, Garlic, Refined Vegetable Oil, Tomatoes, Salt, Chilli Powder, Cumin seeds, Spices. This product of India is 100% natural and has no added preservatives. "Dear Spices of India, Hi, A big thank-you! I just wanted to say how impressed I was with your service, I could not believe how quick I recieved my order!! Thank-you."